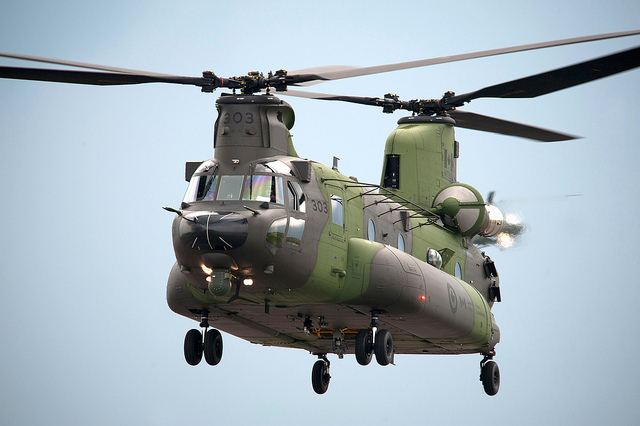 On 27 June 2013, the Royal Canadian Air Force (RCAF) officially took delivery of its first Boeing CH-147F Chinook. 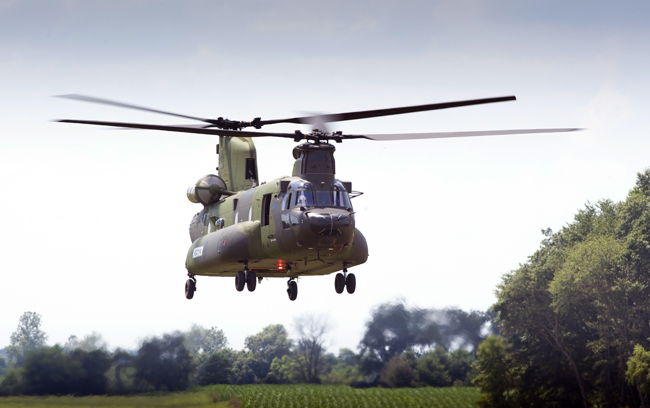 The new helicopter was accepted by 450 Tactical Helicopter Squadron, and was to be followed by six additional aircraft over the remainder of 2013. 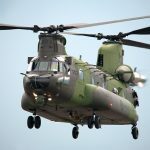 The Canadian government awarded Boeing a US $1.2 billion contract for 15 Medium-to-Heavy-Lift Helicopters (MHLH) and initial in-service support in August 2009. All deliveries are scheduled to be completed by June 2014. The aircraft was handed over in Ottawa under the careful eye of the Canadian minister of defence Peter MacKay. 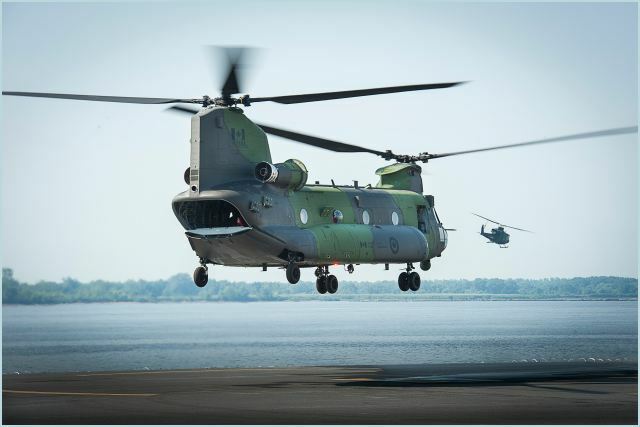 “As initial crew training progresses, these new and much-improved Chinooks will certainly enhance the ability of the Canadian Armed Forces to conduct military operations wherever we are called to do so, including the rapid response to emergencies across Canada,” said minister MacKay. 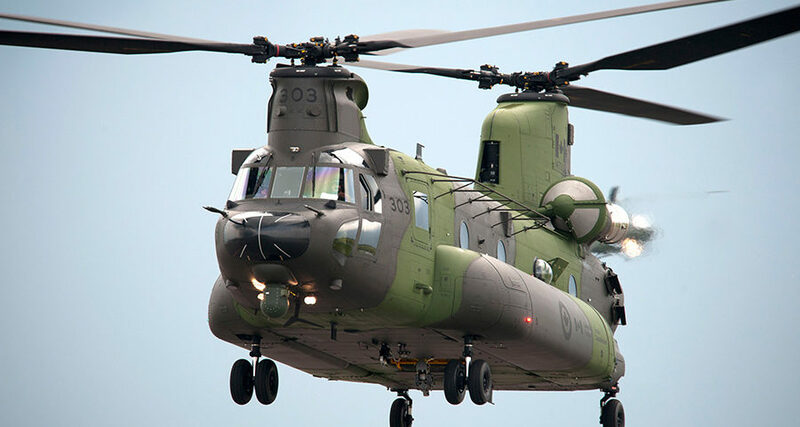 The new Canadian Chinooks have been modified to meet requirements for operating in Canada, including the installation of long-range fuel tanks. 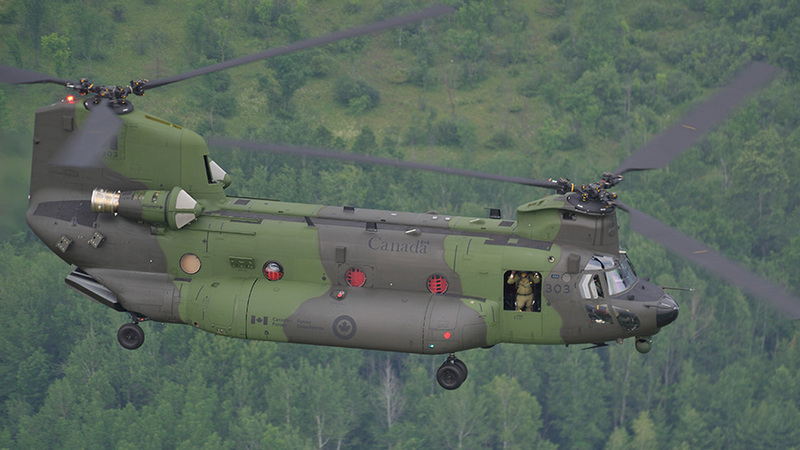 The increased range is particularly important for missions in Canada’s vast northern regions. They are also equipped with an upgraded electrical system, fully integrated Rockwell Collins Common Avionics Architecture System (CAAS) cockpit, and a Digital Automatic Flight Control System (DAFCS). 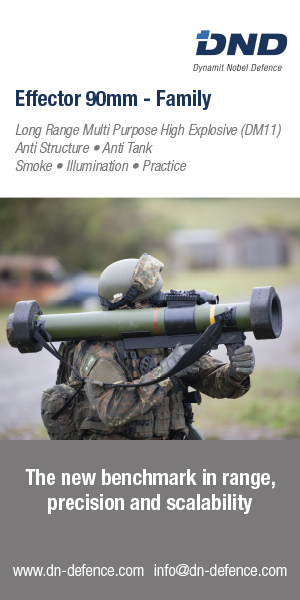 Protective features include advanced radar and laser warning systems, chaff and flare dispensers, a ballistic protection kit and a Directional Infrared Countermeasures (DIRCM) system. In addition, the CH-147Fs are fitted with three defensive machine guns and an EO/IR sensor pod. 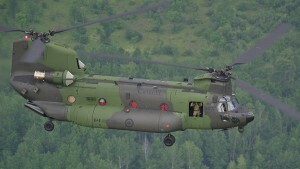 The Canadian armed forces previously used six CH-47Ds to support its operations in Afghanistan. The former US Army transport helicopters were handed over to the Joint Task Force Afghanistan Air Wing in late 2008. One aircraft was lost during operations, and one damaged, while the remaining four were put up for sale after the mission ended in 2011. The RCAF also operated eight CH-47Cs from 1974 until 1991, seven of which were later sold to the Royal Netherlands Air Force and subsequently upgraded to CH-47D standard. One CH-47C suffered a mishap and another aircraft was lost prior to delivery. Boeing will provide in-service support to the MHLH fleet for the next 20 years under a Performance-Based Logistics contract. 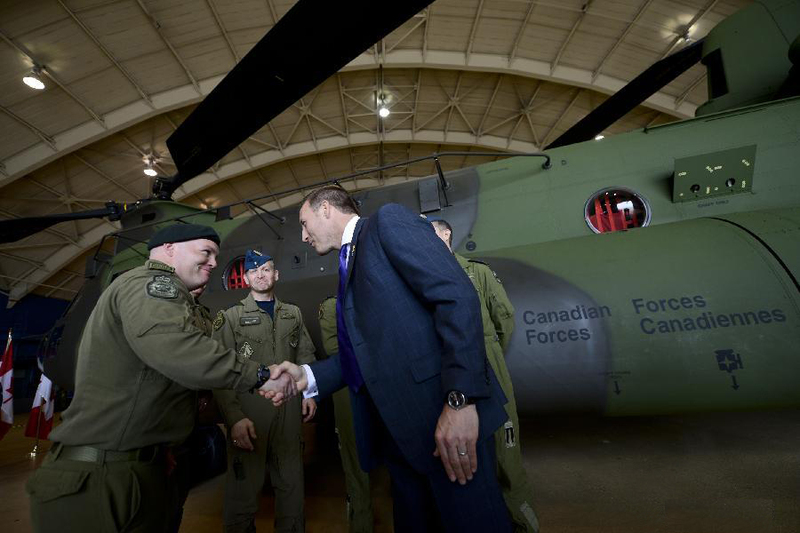 The company has already awarded six contracts to Canadian suppliers for services under the program with the helicopter manufacturer committed to providing industrial and regional benefits equal to US $1.25 billion.